Prizes: $250 for first place. Reader comments, publication on our site. Details: Deadline: last day of each month. Sponsors three annual contests in the categories of First Chapter, Flash Fiction, and Short Story. In each category, the monthly winner receives $25, comments from our readers, and publication on our site. Each month, the top two submissions in each category advance to the annual competition. Annual Prize: a total of $250, reader comments, and publication on our site. Fees: $27 for one entry. Details: For a collection of short stories, novella, or short novel 150-250 pages long, by a US citizen. Details: For fictional stories about either getting through, bouncing back from, and/or growing from adversity. Stories may be of any type of adversity. Please specify type of adversity and whether story is fictional or nonfiction when submitting. Multiple submissions allowed. Stories may be anywhere from 50-3000 words. New writers welcome. Please see website for categories. Entrants must read all site guidelines prior to entering. Fees: £5 for one entry. 3 Stories for £10. Prizes: £200 for first place. Trophy for the Winner. Details: Short Stories First Prize : £200 (and a trophy!). Second Prize : £50.Runners Up: £25 x 3. Stories can have a maximum of 2,500 words. Prizes: $20 for first place. Publication in our magazine for first place and runner up. Details: We are looking for short stories with a strong fantasy or medieval feel. Exciting and heroic is great, but a well structured story with quality grammar is essential. 6000 words or less that will make a reader ask for more. Prizes: £0 for first place. Details: Prize for political writing published in 2011. UK only. Prizes: £150 for first place. Also website and ebook publication. Details: For short stories up to 4,000 words. Entry: 2011 copyrighted mystery or romantic suspense. FMI, www.rwamysterysuspense.org or email: Brooke Wills at daphnecontest@gmail.com. We are looking for completed feature-length supernatural horror scripts from Los Angeles area writers as samples for a possible writer-for-hire opportunity. We would like a writer from Los Angeles who is good at writing dialogue while building suspense. Please include a resume with your pitch. If your pitch interests us, we will request the complete script for further consideration. Again, we are only open to writers living in the Los Angeles area at this time. Please confirm that you are living in Los Angeles in your personal message space provided. Budget is irrelevant. Non-WGA writers only may submit. Budget will not exceed $5 million. WGC and non-WGC writers may submit. Please note that, due to tax and financing reasons, we are only open to submissions from Canadian citizens or landed immigrants at this point in time. Our credits include “Closing the Ring,” and the upcoming “A Big Life,” which will be made from a script we discovered on InkTip. We are looking for for a brilliant feature film screenplay to bring into pre-production. Something with award winning potential (something beautiful, heartfelt, with meaning) or something commercial that has something special and different about it. Script must be low budget compatible! We DO NOT want and horror or period films Please get in contact with us at farmhouse-media@gmx.co.uk with the synopsis of the film you have in mind. If we like the sound of the synopsis we will ask for some more info and then eventually ask to read the script. Thank you. I am film producer, director and I am looking for a good story for a low budget feature film. I am looking for a writer as soon as possible as I want to start the production soon. Kindly send me your synopsis, if possible registered ones to supriya.lingayat@yahoo.co.uk. The I.S.A. 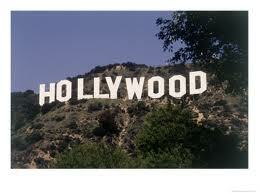 is looking for a screenwriter with hosting or teleconference experience to interview the guests for the upcoming I.S.A. sponsored teleconferences. You don’t have to have a ton of experience but you have to be engaging, inquisitive and fun to listen to. We want an active screenwriter because we want someone who will be interested in asking the questions other screenwriters will want to hear. We do up to 4 teleconferences a month, usually for an hour and a half on Saturdays. Occasionally some calls are scheduled during the week, so you need to be flexible. This is currently a non-paid position but could turn into a paid position as the demand for our teleconferences grow. If you’re serious about your craft, this is GREAT opportunity! You’ll get to ask the questions you want to ask to the people you will most want to ask them to. We’ve interviewed some of the top lecturers in the industry, including Robert McKee, Chris Soth, etc.